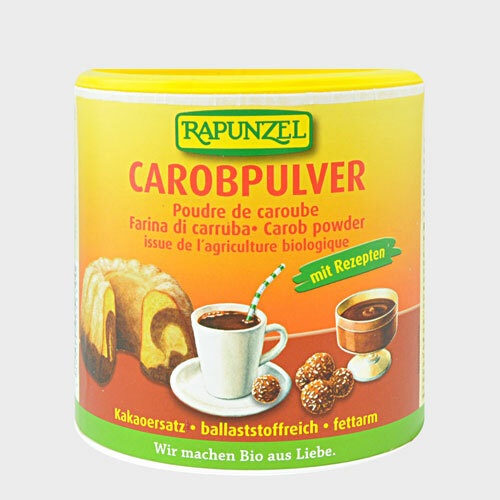 Carob powder is made from the pods of the carob tree, which are dried and ground into a fine powder. 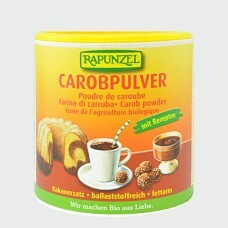 This high quality carob powder is characterised by its aromatic caramel flavour and its natural sweetness. 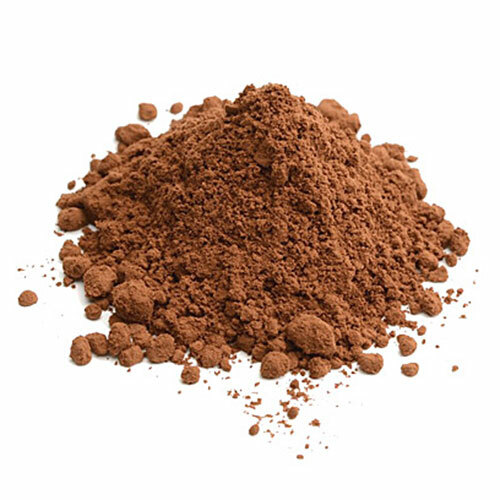 Ideal as a cocoa substitute, it has a low calorie and fat content, contains no lactose, and is gluten-free. 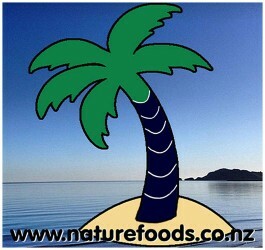 It makes a tasty and nutritious addition to hot drinks, smoothies, baked goods, cereal toppings and yoghurt. It does not contain any stimulating effects like caffeine or theobromine. Therefore it is well suited for children and allergy sufferers. Many people use carob as a caffeine-free chocolate substitute that doesn’t require additional sweeteners, but it’s actually a wonderful superfood in its own right. It’s high in dietary fibre and antioxidants; contains vitamins, A, B, D and E; is a good source of calcium, magnesium and potassium; and has significant levels of gallic acid, a potent antimicrobial agent. Carob has been found useful in controlling weight, improving digestion and lowering cholesterol. Due to its calcium content, it also makes a good dietary supplement for osteoporosis-prone individuals.